Monroe and Moroccan channeled their famous mom in Gucci tees and bold accessories while on a trip to Disneyland. See Mariah's Carey Most Fabulous Diva Moments! When it comes to style, Queen Mimi holds fast to the idea that more is more. Whether taking a dip in head-to-toe diamonds, working out in fishnets, or “festivating” in a blinged-out bra, Mariah Carey is always on-brand—and that brand is EXTRA AF. As it turns out, the apples don’t fall far from the tree. 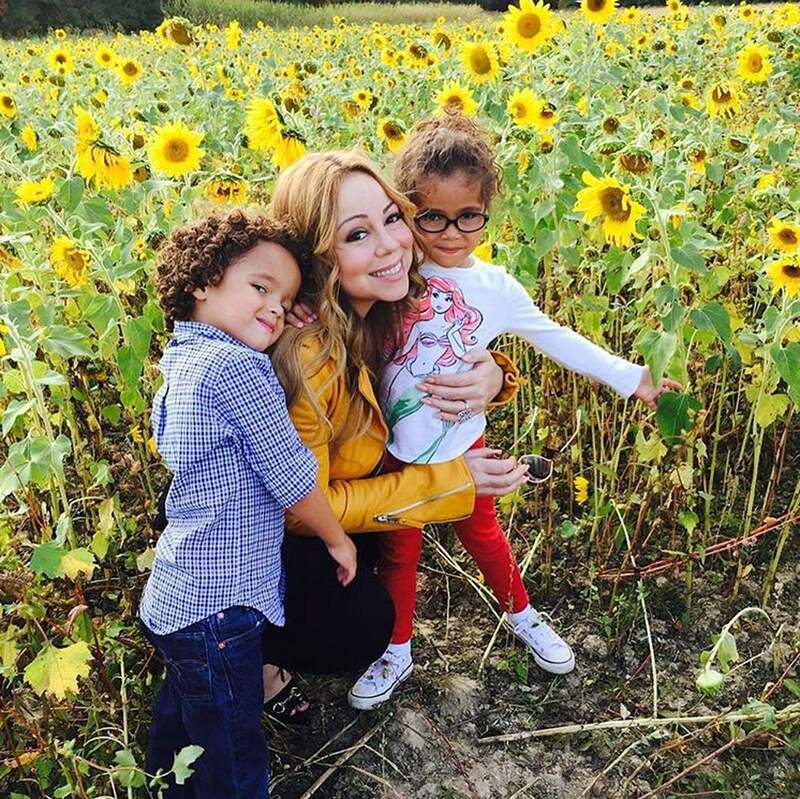 In terms of flair, Carey’s 6-year-old twins, Monroe and Moroccan Cannon, appear to be taking after their fierce mama. On Sunday, the 47-year-old pop icon posted a photo of her son and daughter from a recent trip to Disneyland. “Thank you #Anaheim, we enjoyed you! See you tomorrow, #HollywoodBowl #AllTheHitsTour,” Carey captioned the pic of her twins, decked out in Disney’s finest. In the sweet snap, Moroccan dons a blue sorcerer’s hat complete with Mickey Mouse ears, a Gucci graphic tee, and bright red shorts. To his left is Monroe, rocking a pair of sequined Minnie Mouse ears, a graphic tee decorated with an illustration of a peacock (also Gucci: $135; farfetch.com), hot pink glasses, and denim shorts. Add a few more dashes of glitter, and these two are certified Mariah clones!